Last Sunday, the message at church was on Salt and Light. This is not a new lesson for me, as it is probably not for you either. But, it really made me think. I learned some things from Pastor Dave. 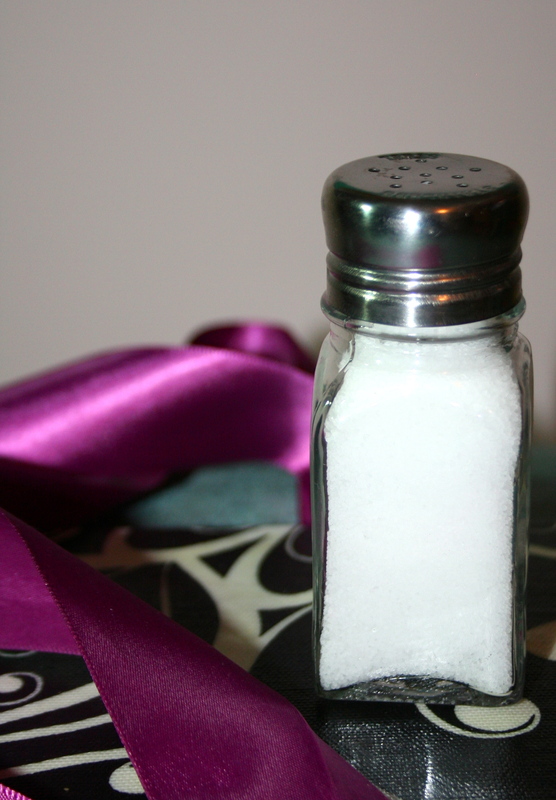 We know that to be salt is to be an example of Jesus…to be a blessing to others…to add flavor to your world. And we know that to be light is to let others see God in you…that it is not always easy to show people who Jesus is…and that it is a choice to hide it or to let it shine. And here is where I began to think. And I started writing a list of things I could do that would make me salt and light. What things have I done in the past that would qualify as salt and light? And what things am I doing now; ministries, serving, random acts of kindness, that make me salt or light? Then it hit me. Probably because God told me. Being salt and light is not a list of activities. Being salt and light is a lifestyle. Shouldn’t it become such a part of my life that I no longer have to think about it because it is who I am? And when I don’t have to write a list of list of how to make myself salt and light, and when being a blessing to others and letting other people see God in me, are ingrained in my life, then I will be where God wants me to be. Salt and Light. Are you there yet? How did you arrive? How will you get yourself there? Be aware of ways to be a blessing to people, of ways to share Jesus, to create relationships with people not in your sphere, to think about what your neighbor needs that she can’t do for herself, take groceries to the guy at church who is on crutches. You know what to do. God sets up Divine appointments for you all the time. When you find it hard to make it a part of who you are, remember that “fake it till you make it” is not a bad thing, and that a habit is built in 21 days. Start now with me? 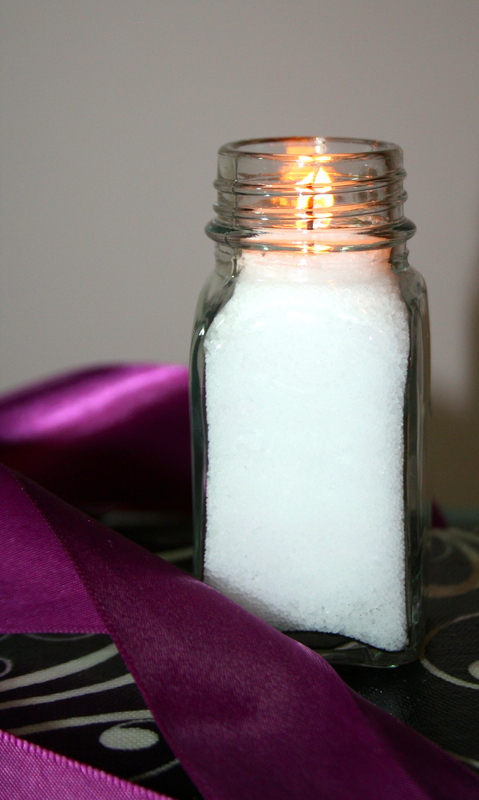 To make the oh so very easy, salt and light project in the photos, you need a salt shaker, a wick, and some white granulated wax. This takes 30 seconds to make. Really. Hold the wick in the center of the salt shaker. Pour the wax in to fill up the shaker. Trim the wick if it is too long. If you want to make it an even better reminder, print out one of the verses above, punch a hole in the paper, and tie it around the salt shaker. These are an inexpensive give-away to go with a lesson on salt and light. Set it on a shelf in the bathroom so when you see it every morning, you are reminded what it means to be salt and light, and how great it is going to be when you are there. Listen to our teaching pastor at Calvary Baptist Church in Canton MI, Dave Riddle, on salt and light.